Caracalla considered himself to be Alexander the Great, and since Alexander the Great had conquered Persia, Caracalla would conquer Persia’s successor: the Parthian Empire. There were good strategic reasons to attack now. In 208, the Parthian king Vologases (Walagash) V had died, leaving the throne to his son, Vologases VI. The latter’s younger brother Artabanus had, however, staged a coup and now ruled the Empire as Artabanus V. Vologases seems to have held out in parts of the Parthian Empire, which meant that the last thing Artabanus wanted was a new war with the Romans. Caracalla’s pretext was his desire to marry Artabanus’ daughter. Alexander had married a Persian princess – Stateira – so Caracalla was going to marry a “Persian” princess as well. Artabanus refused. For Caracalla, this was a casus belli. Setting out from Antiochia, where he had returned after the massacre at Alexandria, Caracalla launched his invasion and managed to penetrate deep into Parthian territory. The Parthians failed to mobilise an army against him, so he easily pillaged the country and captured the city of Arbela (present-day Erbil in Iraq). There he desecrated the royal tombs by digging them open and throwing the contents out. These were probably not the tombs of the Parthian Arsacid kings, but those of the rulers of Adiabene, of which Arbela was the capital city. 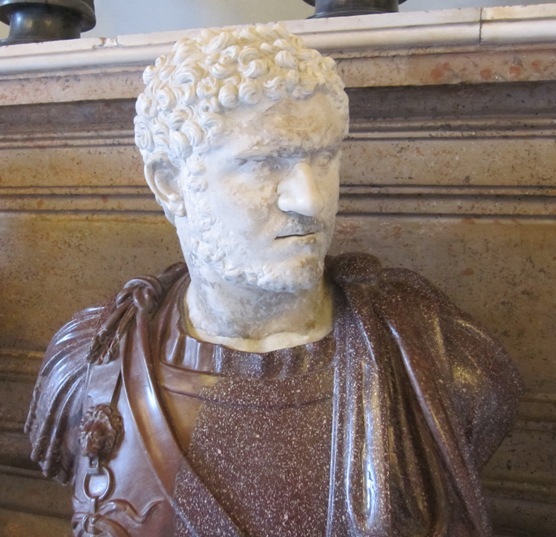 In any case, Caracalla’s actions were outrageous, even for a mad emperor. Caracalla’s attempt to imitate his idol Alexander was anything but a success. He had not won a decisive military victory against the Parthians and had instead acted like an ordinary brigand. Still, Caracalla was mad enough to write to the Senate, claiming victory anyway and adding the cognomen Parthicus to his name. The Baths of Caracalla, Rome. 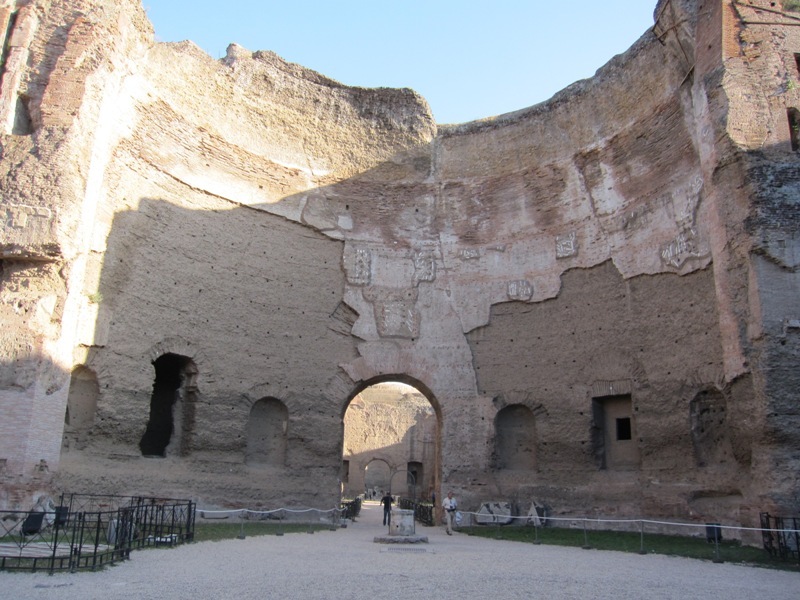 216 may have been the year in which the Baths of Caracalla were completed and/or opened (although it may also have been the next year). It was a huge complex, which allowed over 1.600 people to take a bath and engage in all sorts of social activities. The Thermae Antoninianae were much more than just a set of public baths. Apart from the usual hot, medium and cold baths (caldarium, tepidarium, frigidarium), the complex housed a swimming pool (natatio), two libraries, gyms for wrestlers and boxers and gardens. The remains of the Baths are well worth a visit if you are in Rome. Although not much remains of the decorations that were once there (visit the Vatican Museums for some of the mosaics), the ruins of these colossal buildings are simply very impressive.